On Saturday, I joined hundreds of thousands of people to march on Westminster as the Brexit crisis spirals out of control. In one of the biggest demonstrations in UK history, more than a million people took to the streets to demand the UK Government hold a fresh referendum on our European Union membership. People travelled from as far as ­Shetland, Orkney and Skye to tell the Tory Government there is no such thing as a good Brexit, and to tell Westminster to respect our right to remain in the EU – as Scotland voted overwhelmingly for. I was proud to lead the march ­alongside cross-party politicians. We were joined by a crowd of people from all walks of life – young and old, EU nationals, and families with children – the future generations who stand to lose the most if Brexit goes ahead. 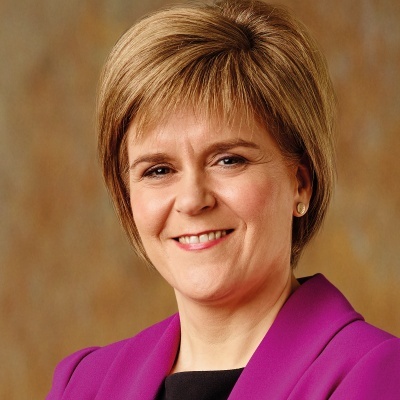 At the rally, First Minister Nicola ­Sturgeon brought a message of solidarity from Scotland. She urged Parliament to take back control from a PM in thrall to extreme Brexiteers. 🇪🇺 @NicolaSturgeon at the #PutItToThePeople rally: “My message is for every EU national across the UK. You are welcome here and we want you to stay. She pointed out the hypocrisy of Theresa May, who absurdly claims she is acting in the interests of the people but is refusing to let the people have a say on the way forward. The SNP were joined by the Greens, Lib Dems and cross-party MPs in demanding a second referendum, with the option to Remain. But with the crowd chanting, “Where’s Jeremy Corbyn?” the Labour leader’s absence was shameful. On the biggest crisis we face, Corbyn has shown a complete absence of leadership – failing to even turn up to explain himself. With four days left until the UK was due to crash out of the EU, ­Westminster remains deeply divided. In the face of UK ­Government failure, the EU has offered a reprieve through a short extension to Article 50, until Westminster decides what it will do. The SNP is clear – we must stop Brexit and the best way forward is to put the decision back to the people in a fresh referendum. 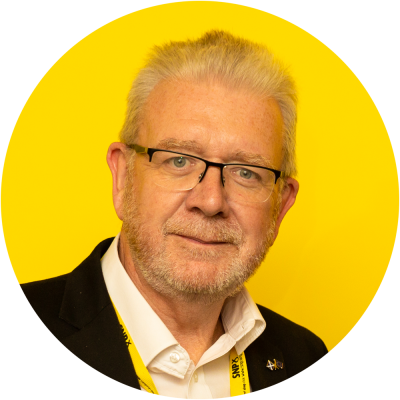 It is clear beyond doubt that Brexit would be a disaster whatever form it takes – dragging Scotland out of the EU against our will, stripping away our rights as EU citizens, and causing lasting harm to jobs and the economy. 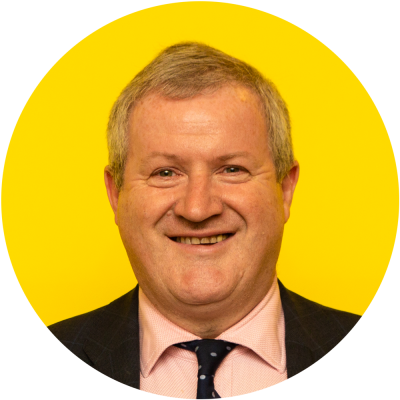 SNP MPs will not be bullied, bribed or blackmailed into choosing between a Brexit disaster or a Brexit catastrophe. For as long as there is a chance that Scotland can stay in the EU, the SNP will do whatever it can to ensure Scotland’s vote to Remain is respected and our interests are protected. Over the weekend, we saw reports of the deepening crisis. The UK ­Government has opened a bunker under the Ministry of Defence to plan for a Tory Brexit. Cabinet ministers are plotting to get rid of May and Labour still haven’t worked out what their position is. More than five million people have signed a petition to stop Brexit. It is vital Westminster takes steps to hold another ­referendum or revoke Article 50 to prevent the UK falling off the Brexit cliff edge. Scotland’s wishes have been ignored throughout the Brexit process – which has proven that we are not treated as an equal partner in the UK. Whatever happens in the coming days, the case for independence is stronger than ever. The people of Scotland deserve the right to choose their own future and they will have that right even if Westminster fails. Independence is about what we can achieve when no longer governed by those mired in backward looking, false exceptionalism. It is about wise stewardship of the great resources that lie all around us, natural and human. This past week was one of the most extraordinary in UK political history. And it was one which showed, beyond all doubt, that Scotland’s needs are being totally ignored by Westminster. Where I meet diplomats and journalists from other countries they nearly always end up remarking that their admiration for British governance – for debate and dialogue – has been completely destroyed by what they have witnessed in the last two and a half years.